Boil sweet potato until soft then dice into small pieces. Peel soft plantain (if not soft boil with sweet potato) and dice into small pieces. In a pan over medium high heat, add coconut oil and melt. 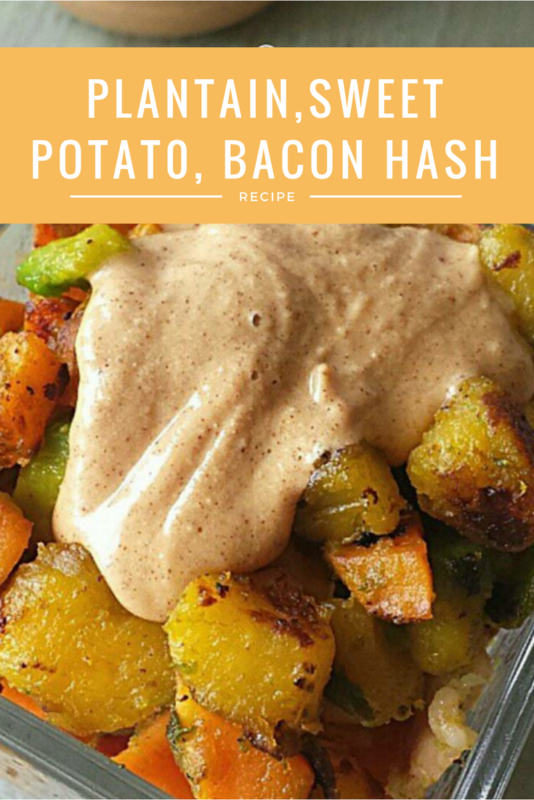 Add sweet potato, plantain, and bacon pieces and cook until slightly crispy. Place mixture in a bowl and top with Carrot Cake Muscle Butter. This entry was posted in Recipes and tagged banana recipe, carrot cake muscle butter, high protein.